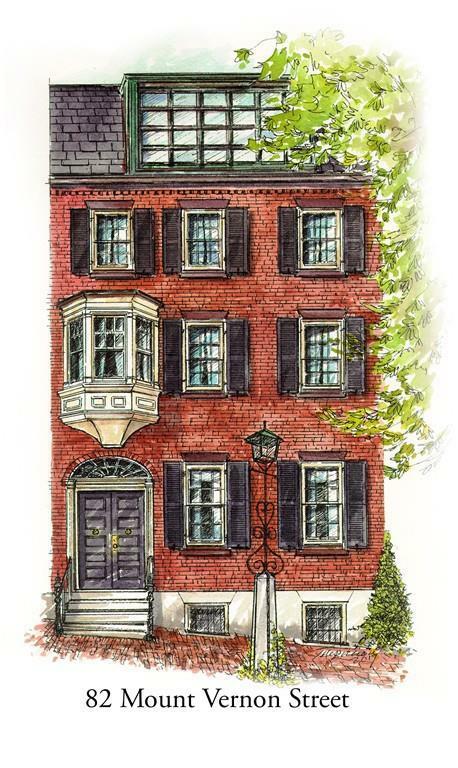 Brand new restoration of Beacon Hill townhouse in prime south side of the Hill location right off Louisburg Square. The property is comprised of two residences. Residence 1 is a two bedroom two full bathroom one half bath duplex home boasting floor to ceiling windows and an extraordinary 700+ sqft outdoor space including blue stone patio, built-in grill/prep area, fire pit and access to a private entrance steps from historic Acorn Street. The kitchen/living/dining area is wide open and looks out to your private outdoor space through floor to ceiling windows. Included in the living space is a gas fire place, custom detail, built-ins and a large kitchen Island. The bedroom level includes two large bedrooms with en-suite bathrooms, master with floor to ceiling windows and a full sized laundry room. Specifications and floor plans available. Completion January 2019.